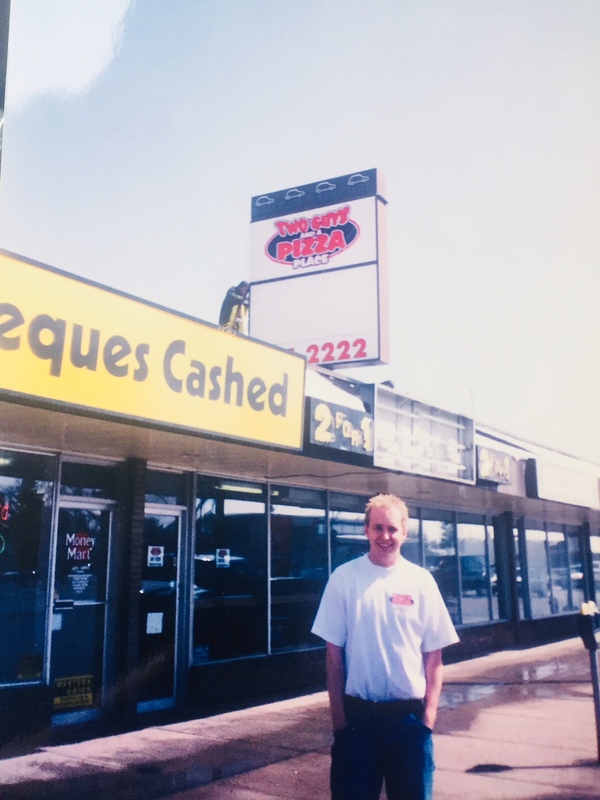 Since 2002, Two Guys Pizza has proudly been serving award-wining pizza to Lethbridge & area. We love what we do and we love where we are! We hope that shows in every slice you have! Cheers! Story Mission Press & Awards You Gotta Eat Here! A not so brief look at our story! Thank you so much for more than 16 wonderful years here in Lethbridge! We are excited to be this community's go-to pizza place, and look forward to many more great years! Our mission has always been to provide great pizza with exceptional service. We start with quality ingredients, which are made in-house or brought in locally as much as possible. The staff are the ambassadors for our missions and values, and they aim to please! Our cozy dining room is a great place to enjoy fresh pizza with your family and friends, where we also offer wine and over 100 craft beers! Cheers! There are over 40 pizzas to choose from on their menu, including traditional favourites, but they’re mostly known for their innovative gourmet creations. You can also order baked pasta dishes, salads, desserts, appetizers and more. They have more than 100 craft beers available in their small dining room – a beer lover’s paradise! If you don’t have time to eat in, there’s also take-out or delivery options and now, you can even place your order on their new website! The concept for Two Guys and a Pizza Place began when Cory Medd walked into a pizza place that was for sale. The existing business wasn’t doing well, and he decided to wait until the space and equipment became available. “With my previous restaurant experience, I felt confident,” Medd explains. He has worked in restaurants from a young age and learned a lot from supervisors over the years. The fast-paced fun environment was a part of what he loved about being in a restaurant. “In the early years of Two Guys Pizza, I gained enormous respect for anybody that put it all on the line and chose to open a restaurant or a business for themselves. It’s not easy. I was putting in long hours, often sleeping at work! I found myself asking questions a lot – to my lawyer, my accountant, bankers, friends, customers, staff, distributors, and other restaurant owners. To this day, I love chatting about all things business, and I love learning.” One of Medd’s tips is to plan ahead, be organized, and then be flexible. He admits to not being an expert, but he’s generally always thinking ahead for advertising, promotions, budgets, staffing and life in general. Back in 2003, there were only five staff members, growing to 25 employees in 2010, and in 2017 the restaurant employed about 60 people. Besides the typical perks and benefits, Medd says he shows his appreciation for the people who work for him by throwing legendary staff parties in early January and usually in mid-summer as well. “We have had concerts, lip-sync battles, talent competitions, golf tournaments, fantastic dinners, massive barbeque parties, etc.,” and each party is bigger than the one before. As time flied by, there had been some small expansions made to the business. In 2011, Cory purchased a pizza trailer which could be used at events all over the city. 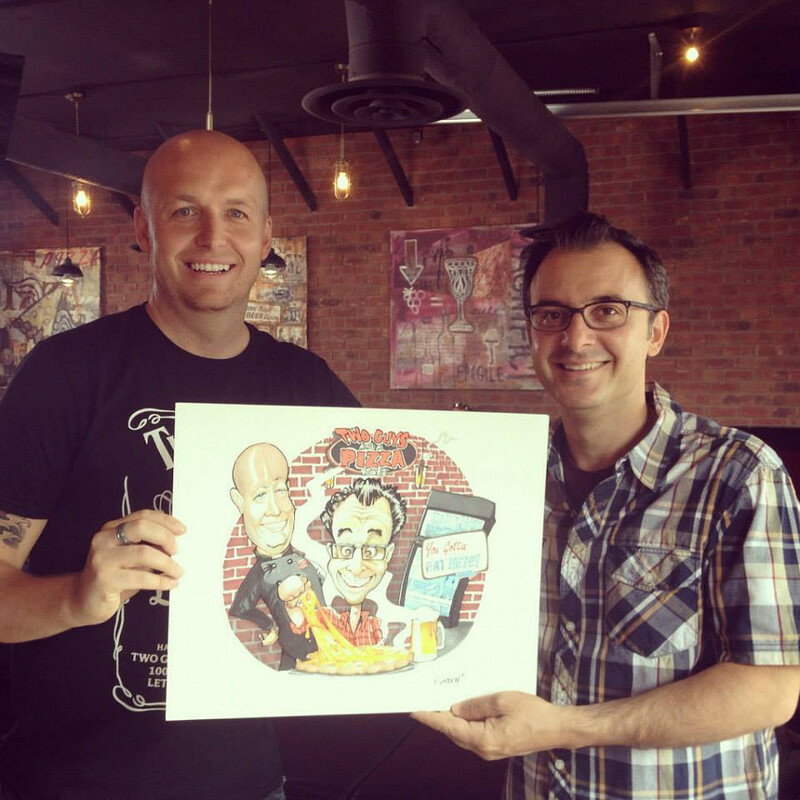 Then, in 2013, after 11 years, Two Guys Pizza moved locations to 11th St south, and added a small 40-person dining room where customers can experience the pizza fresh out of the oven, while enjoying one of the 100 craft beers on the menu! Medd is very proud of what he’s built at Two Guys and a Pizza Place. “It’s exciting to come to work every day and chat with the staff and the customers. Over the years, we have become a big part of the community and it feels great to be able to give back and support those that support me!” Every Christmas since he and his wife, Krista, began their family of two little girls, the Medd family have made and delivered pizzas for families on Christmas Day, or done some other meaningful good deeds during the holiday season. 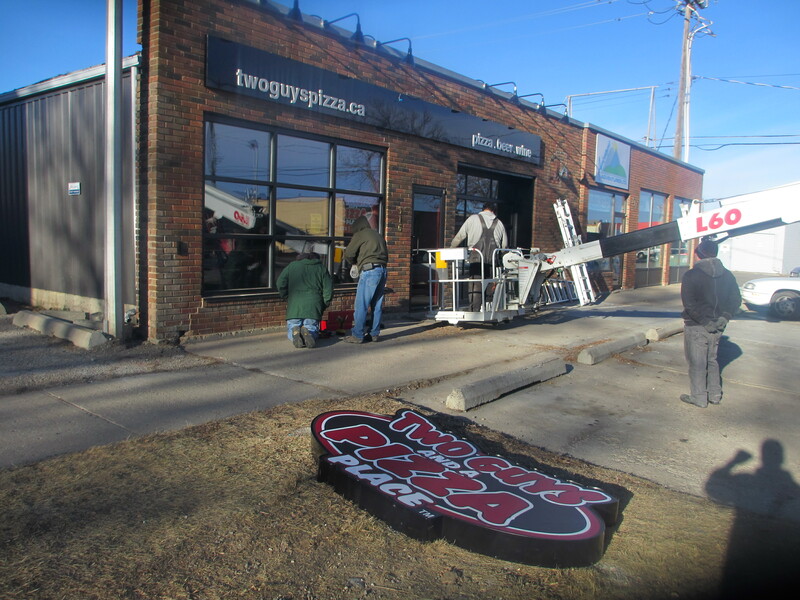 Two Guys and a Pizza Place also supports SAAG, YMCA, YWCA, Fifth on 5th Youth Services, and Big Brothers & Sisters. They send pizzas to Youth One every Monday. They provide sponsorships to the Lethbridge Bulls, Lethbridge Hurricanes, University of Lethbridge Pronghorns, Lethbridge College Kodiaks, and other amateur sports teams. If that wasn’t enough community spirit, Medd also donates to the food banks; brings their Pizza Trailer to charity events and gives out free pizza; promotes Family Month and contributes to Lethbridge Family Services; and has been a partner of Mealshare for many years. 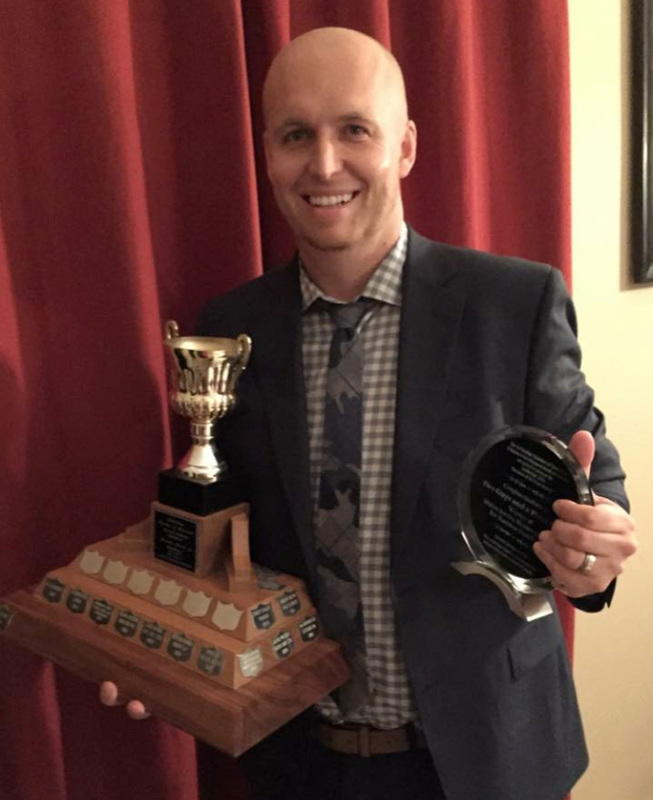 He has also been involved in the networking group, Young Professionals Association of Lethbridge (YPAL) and was a board member for the Lethbridge College Business Administration Program Advisory Committee from 2010 to 2012. Handmade & Fresh Since 2002! Our mission has always been to provide great pizza with exceptional service. We start with quality ingredients, which are made in-house or brought in locally as much as possible. The staff are the ambassadors for our missions and values, and they aim to please! Our cozy dining room is a great place to enjoy fresh pizza with your family and friends, where we also offer wine and over 100 craft beers! Cheers! Made on the foundation of a pizza crust from a 19th century Italian recipe. We hand-cut and hand-toss our dough every day in-store. After the pizza is baked in our oven we lightly rub Italian seasoned garlic butter on the crust for extra flavor! Made in-house every day, our recipe was inspired by 3 regions with a deep love for pizza! We start with San Marzano tomatoes from Italy, a proprietary blend of spices similar to some historic New York shops, and finished with California tomato paste. But let's keep this our little secret ok! All of our vegetables are sliced and diced fresh daily at our restaurant, always having a crisp and fresh taste. We proudly use Parmalat high-quality Canadian cheeses. Our premium mozzarella and other cheeses are award-winning cheeses that were chosen on quality and taste, not price! Pepperoni, Salami, and Ham is cut in-store daily. They contains no MSG and no by-products. With all our meats, we assure top-quality grade with mouth-watering flavor! As much as possible, we are making menu decisions to help those with gluten intolerance to be able to enjoy their meals at Two Guys Pizza. Our 11-inch low-dietary crust is shipped in to assure it isn't handled at our shop. We are diligent when creating any gluten-free pizza, and use a separate knife and cutting board to assure no cross-contamination. For those with celiac disease, please understand that we cannot guarantee that each product is absolutely gluten-free. We try our best, but there may be shared equipment or variations in our vendor-supplied items. We are proud to serve many options for those individuals choosing vegan! Our in-house dough and the gluten-free crust are both considered vegan. We have many sauces that are vegan-friendly. And YES we have vegan mozzarella! Please ask your server today how we can help you! As Seen on the Food Network's You Gotta Eat Here! Season 4 - Episode 8! "Best of the Best" 1st place - Lethbridge Sun Times - "best pizza restaurant"
"Best of the Best" 2nd place - Lethbridge Sun Times - "best casual / family dining"
"Best of the Best" 1st place - Lethbridge Sun Times - "best casual / family dining"
Named the top vote-getter in the Huffington Post's online "Best Pizza in Alberta"
"Canada’s Pizza Chef Of The Year" - Canadian Pizza Magazine - naming "Louisiana Cajun Chicken" the best pizza in Canada. 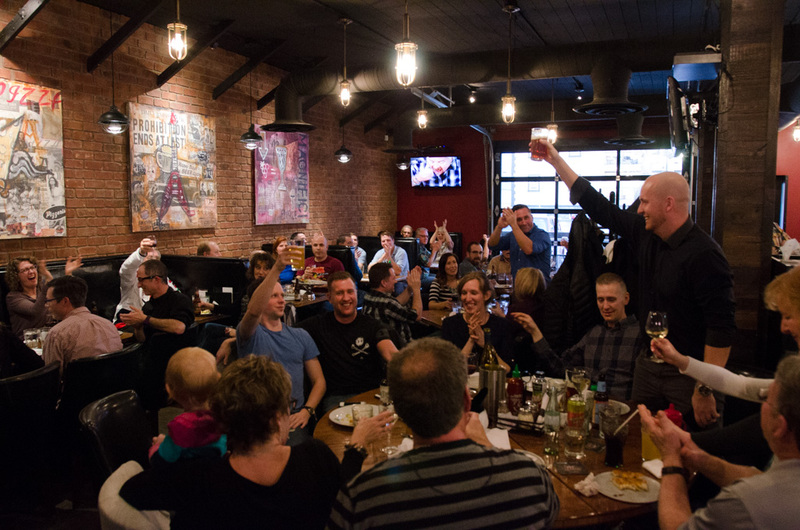 "Best of the Best" 2nd place - Lethbridge Sun Times - "best pizza restaurant"
"Best of the Best" 1st place - Lethbridge Sun Times – "best pizza restaurant"
"Canada’s Pizza Chef Of The Year" - Canadian Pizza Magazine – naming “The Roadhouse” the best pizza in Canada. 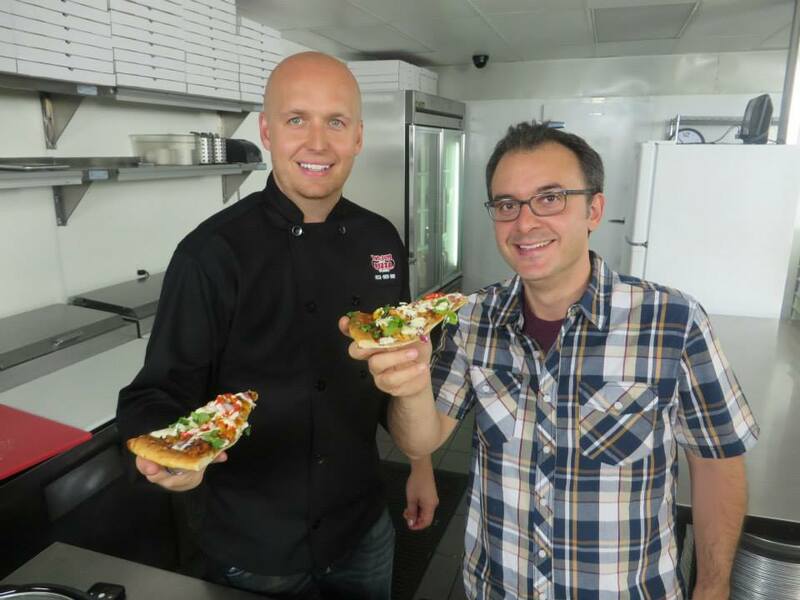 Our episode originally aired in March 2015 on Canada's Food Network. 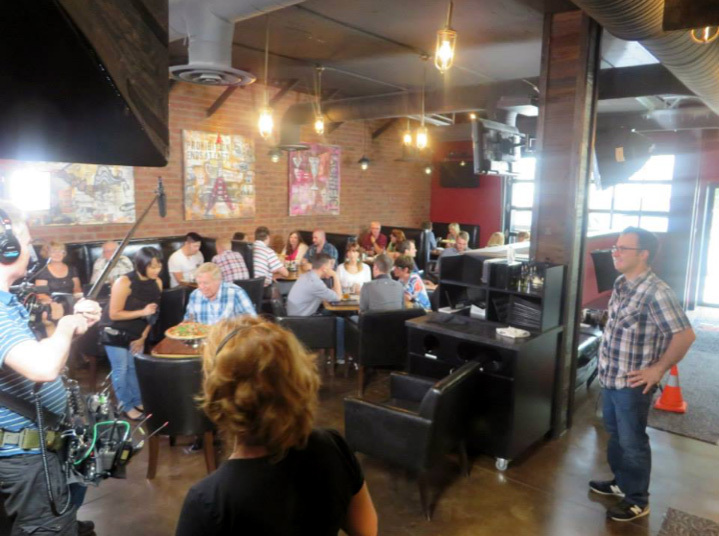 It was such an honor to work with the John Catucci and the amazing crew on the show while filming the summer before that. We love what we do, and it was a great platform to show that. Years later, we still want to prove that "You Gotta Eat Here!"